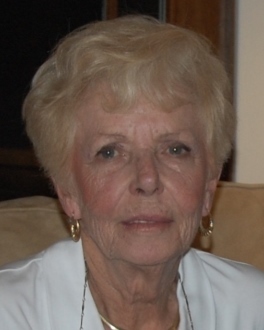 Mildred Jean “Millie” Bailey (nee: O’Donnell), 83, of Eatontown for 63 years, passed away Tuesday, September 11, 2018. Born in New York, New York to Hugh and Elizabeth O’Donnell, she met and married the love of her life, James F. Bailey, in New York City. Millie worked multiple jobs throughout her life, but took the most joy from raising and caring for her family. She was a life-long member of the Red Bank United Methodist Church. Millie was beautiful in her youth and all her years (aka “Millie the Model”). She was tough as nails and a fighter to the end. Beloved wife of the late James F. Bailey who predeceased her in 1990. Loving mother of James H. Bailey and wife Diane, John F. Bailey and wife Catherine, and Lynn D. Bailey. Cherished grandmother of Jack Bailey. Caring sister of Walter O’Donnell and the late Noreen Mitchell, loving aunt of Eileen Berk and husband John, Robert (Bobby) Kiernan and the late Kenneth Kiernan, and great-aunt of Brian and Erin Berk. Millie also leaves behind the family’s loyal Labrador, Cody. Family and friends may visit Friday, 5-8pm at the Braun Funeral Home, 106 Broad Street, Eatontown. A Funeral Service will commence at 10:30am on Saturday at the funeral home, followed by burial at Woodbine Cemetery in Oceanport. Donations may be made in Millie’s memory through her personal memorial donation page at www.inmemoryof-memorial.org/mildred-jean-bailey for St. Jude Children’s Research Hospital or Memorial Sloan Kettering Cancer Center.